With our bridal couple Christina and Sebastian there was a great feature. They had their own location – who can say that about themselves? 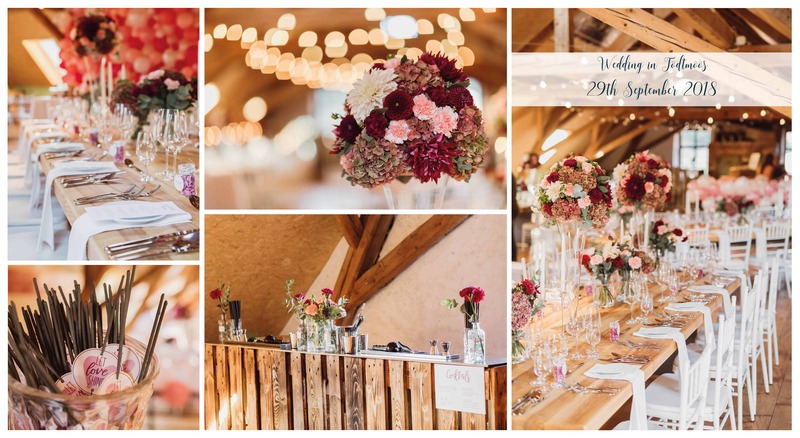 In the heart of the Black Forest we were able to plan a beautiful elegant wedding. We wedding planners have supported our bridal couple in the overall planning of the wedding from the beginning. It all started with the choice and placement of the right service providers. Here we have a great network with great partners who are gratefully accepted by our bridal couples. 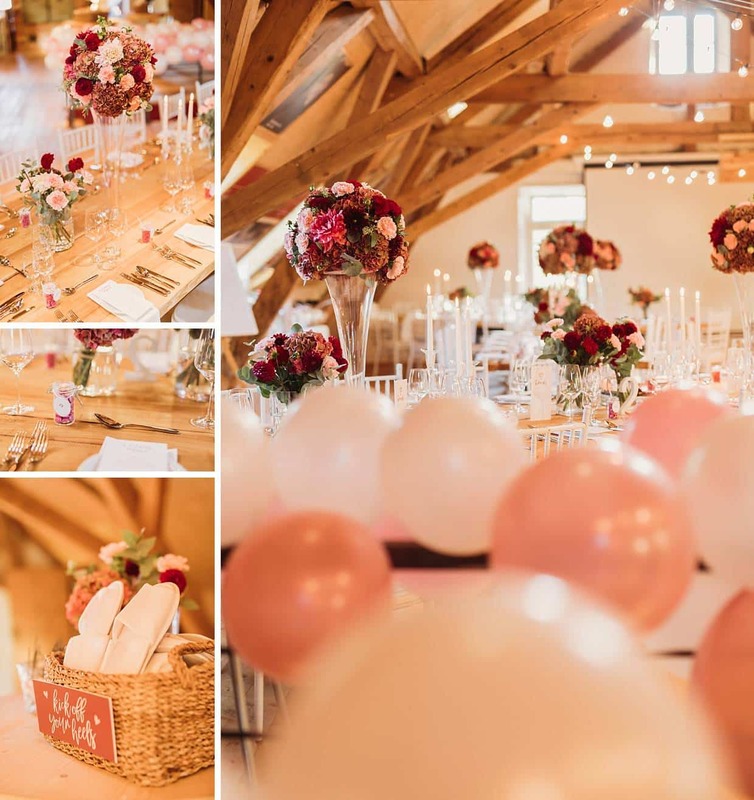 In the autumn of last year, it went to the development of the decor conception – the most important thing for bride Christina (next to the husband, of course). The color concept was clear quickly! It should be berry tones, but it could not be too loud. 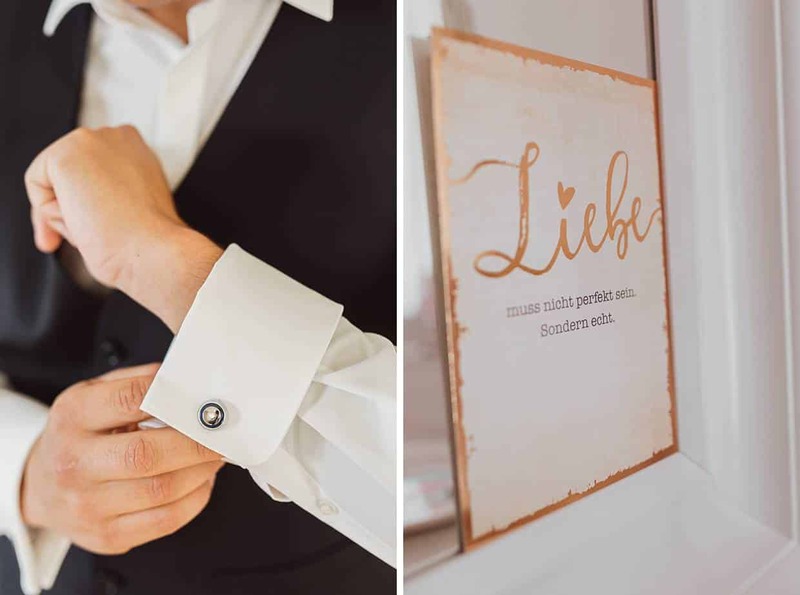 We designed a concept that perfectly matched the ideas of the bride and groom. We put on white and rosé, with a few accents in blackberry. Christina’s bridal bouquet also adhered to our color concept. Our florists have done a great job creating a beautiful bouquet in berry tones decorated with eucalyptus. A hair ring with rose flowers completed the bridal hairstyle. 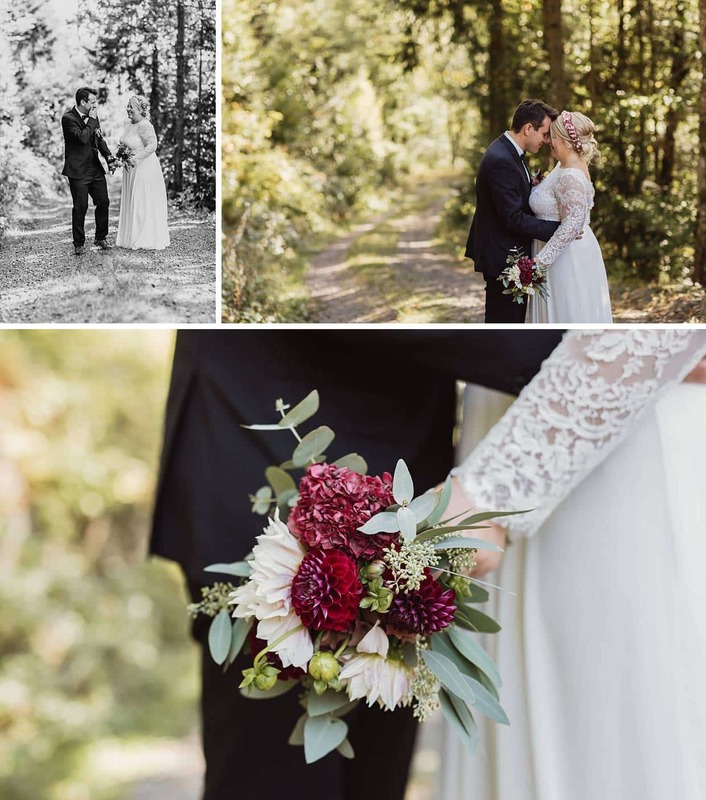 Our photography team did a perfect job and shot beautiful bridal couple photos! At the location we were early on and started the decoration: the fairy lights were hung up, the tons of balloons inflated and chairs put. The decor revealed it’s whole beauty. The location itself was an absolute dream and was perfected by the decoration! Fairy lights illuminated the attic and bathed the room in a cozy light. Big flower vases on the tables were a real eye-catcher! In the evening a four-course meal awaited us, which in the aftermath still causes us to run out of water. Another highlight in the room: the balloon wall behind the Sweet Table. A perfect stage for the sweet and salty treats. At late hours not only was dancing and celebrating, it was also planned a big fireworks for the bride and groom. A feast we wedding planner will not forget so fast! Dear Christina, dear Sebastian, it was – literally – a party!